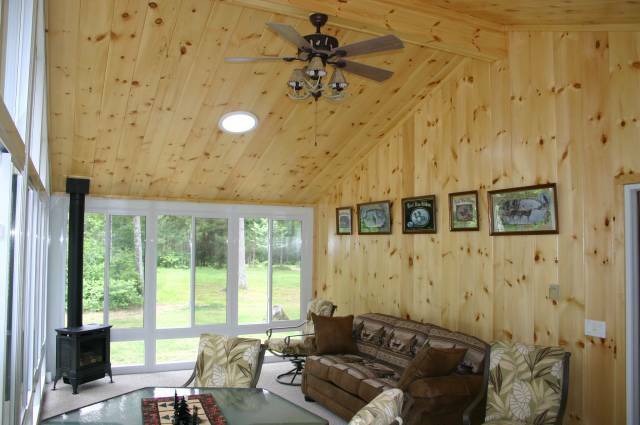 Our All Season Sunrooms are designed to extend your enjoyment of the outdoors without the annoyances of wind, rain, insects, and harmful UV rays. These enclosures can also be installed directly onto an existing patio or deck. 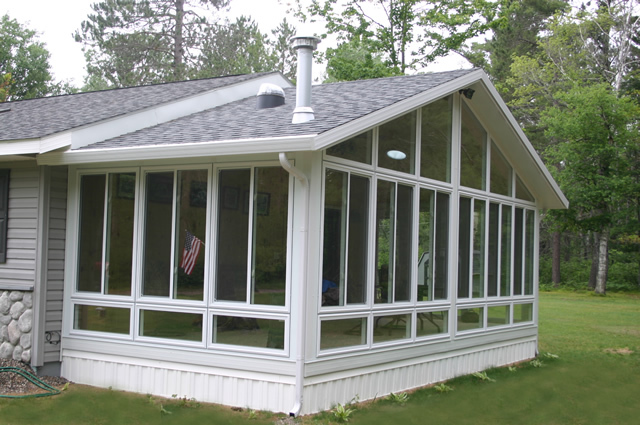 Building an all season sunroom takes you to a new level in comfort by offering 3" extruded insulated aluminum pillars and posts coupled with double glazed clear or tinted windows that come standard with LOE and Argon gas. Available with many options to choose from like glass kneewalls, glass trapezoids, and skylights a thermal sunroom allows you to extend your outdoor enjoyment into all seasons. 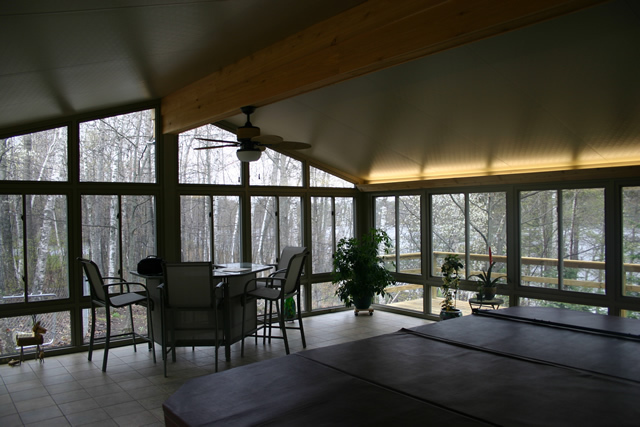 Our All Season Sunrooms have the design flexibility that few systems can offer. All of our sunrooms are custom designed and engineered to fit the exact specifications of your homes architecture and local building codes. They are available in a variety of colors to allow you to design a sunroom that best suits your needs. Convert an empty yard, deck or porch into a new room for the family, a children's play room, an exercise room, a spa room, an eating area, or just a quiet place to relax in. High density 3" foam panels keep this room warm and comfortable and utilize heavy gauge 3" aluminum extrusions. All extrusions have commercial grade thermal breaks reducing condensation and heat loss. All windows are high efficiency glass adding one more level of protection from the elements. Available in either white or driftwood.